If you can never get enough dessert — then, by golly, Waffle Thru The Day’s never-ending dessert menu is for you! The offering is available at the brand’s outlet in Wallace Garden, Nungambakkam. And the menu, laid out buffet-style — a mix of classics waffles, pancakes, and classics bread pudding — is definitely what dreams are made of. Three kinds of waffles, pancakes, fudge, custard, a farmhouse loaf, crêpes, and even pudding are a part of the menu. It is accompanied by different kinds of dessert sauces, syrups and cream, which is a visual delight. Unable to pick just one, we go ahead and fill our plates, with one of each. We start with a crisp Chocolate Chip Waffle, which we are told has to be topped with scoops of vanilla and chocolate ice cream. However, that is not all, as it is also topped with hot chocolate sauce. The two other kinds of waffles — Buttermilk and Brandied Raisins, can be simply paired with fresh strawberries and cream. The Farmhouse Loaf is a delight loaded with raisins and it crumbles on the first bite; it works as a good in-between snack while you’re waiting to go for your second round of waffles. 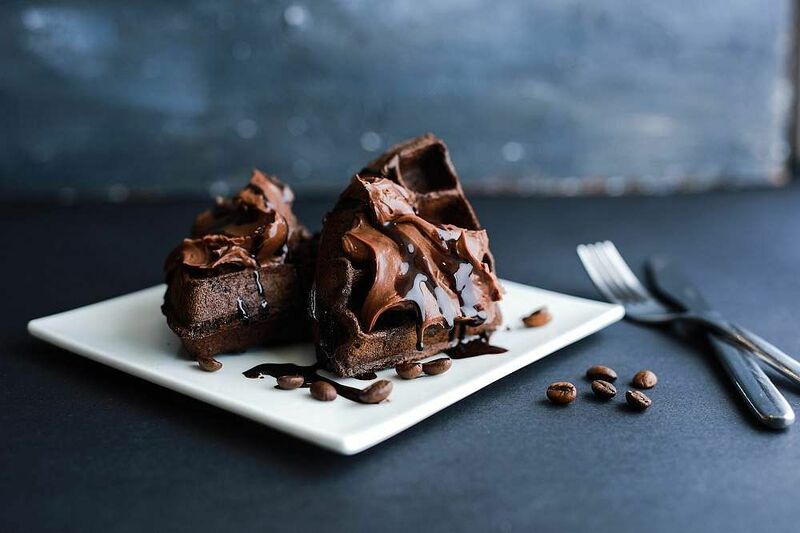 However, if exploring beyond waffles is what you feel like doing, then the fluffy dark brown chocolate chip pancakes are perfect because they are light on the belly, and delicious as they can be topped with just the right amount of hot chocolate sauce. The neatly rolled sweetened crêpes are simply too hard to resist as we pour the classic Suzette crepe sauce over it. The citrus flavour from the orange peel in the sauce makes for the dominant flavour, as the sweet French treat is soaked in it. Our eyes light up as soon as we see the delicious raisin-topped Bread Pudding. Being an eternal favourite at home, we are quick to gorge on the chunks with a creamy custard. A dessert menu is incomplete without the classic Apple Crumble, and the buffet has one right next to the bread pudding. Being one of the last dishes on the buffet, we decide to end with a spoon of the two-layered Irish dessert because that is all we have space for. The buffet also has hot chocolate fudge which can be paired an irresistible hot chocolate sauce, but we decide to come back for it some other day. Every Saturday between 6.30 pm to 11.30 pm. The buffet is priced at Rs 499 plus taxes. Chennai gets one of its first Italian bistro serving sourdough pizza and you're going to love it!